Finally A Membership You Can Get Excited About! For Less Than a Cup of Coffee, You Can Create Massive Change in Your Life and The World Around You. AND A MASSIVE Give Back Initiative That Will Make You Proud To Belong. Gives You A Sneak Peek Inside Her Special Gift. 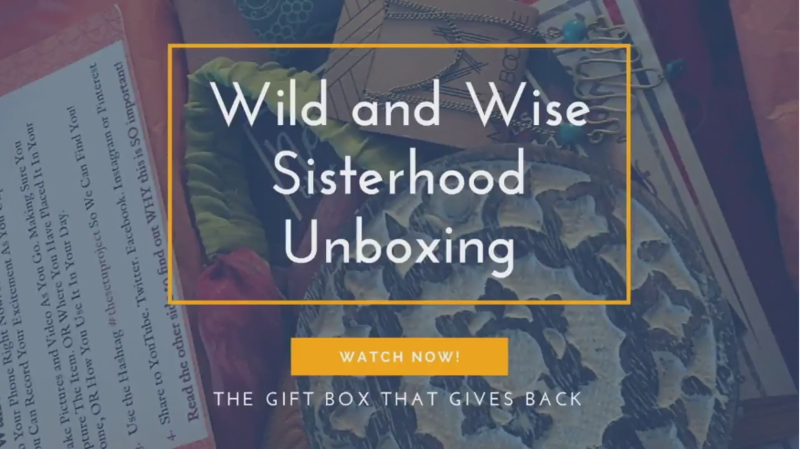 The Wild & Wise Sisterhood Box! premium quarterly gift box, filled to the brim with meaningful, handcrafted surprises delivered to you 4 times a year. We have been so blessed to partner with an incredible organization, Matr Boomie – a world-leading fair trade company, to bring this inspiring collaboration and collection to you. Together we have created this Gift Box. A quarterly subscription box delivered to your door every 3 months filled to the brim with beautiful handcrafted items by artisans. The items are all specially and personally selected by myself and my team, and include hand-stitched, hand-carved, hand-formed bags, accessories, decorative boxes, jewellery, energy bells, and more! And why? Because YOU deserve it! This is a special present that you will receive every three months to remind you of how incredible and loved you truly are, and I want it to be exactly right … thoughtful, love-filled, special and personal. It’s important to us! And We’ve Added Incredible Bonuses! 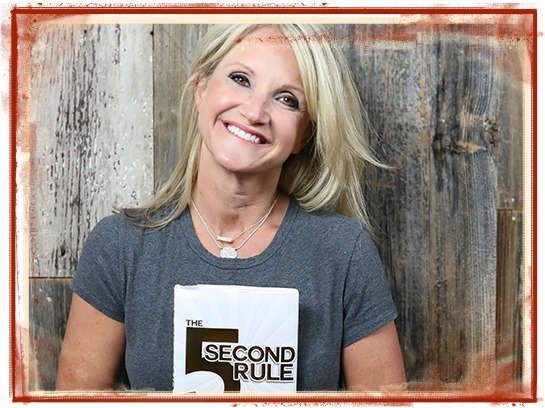 Live Monthly “Best Life” Classes with Christa! That’s not all, there is another bonus! What has been sucking the joy from your life, and how to get it back! How to WAKE UP and stop sleeping through this amazing life you’ve been given. Who you are, and how to honour who you have been, and who you still want to be. How to once and for all STOP the negative messages playing in your head. Ways to infuse your days with passion and positive energy. That making life more fun and purpose filled is possible with a few small changes. Steps to get your Passion Project started, making your big dreams possible. Learning the drivers that inspire you AND the triggers that are holding you back. Why cleaning up the clutter (physically, mentally, emotionally and spiritually) makes room for abundance of all kinds. How to create a vision for your life that you can get excited about, and a step-by-step strategy to help you “do the work” to get there. Remembering your brilliance and how that ties into your purpose and living a Wild and Wise life. Finding that still place inside that will increase clarity, focus, confidence and peace. How to be alone without being lonely, how to improve relationships with loved ones. Strategies, tactics, step-by-step “how-to’s” that you can apply to any area of your life. Worksheets, journaling exercises, exploration and excavation guides to help you on your way. Q&A sessions where you can submit your questions and requests for help! VALUE: OVER $500.00 a month! This is an INCREDIBLE bonus opportunity not to be missed! Regular group sessions with Christa normally begin at $150.00 an hour. 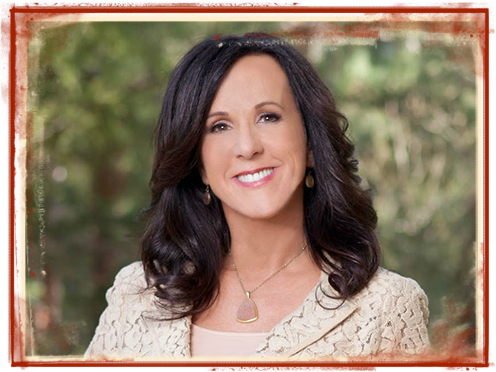 As a sought-after Certified Coach and Consultant, Christa has spent thousands of hours helping influencers, corporations, and Wild and Wise Women from around the world clarify the obstacles that have been holding them back, identify the dreams they have for their life or business, and create the steps to build the experience they long for. 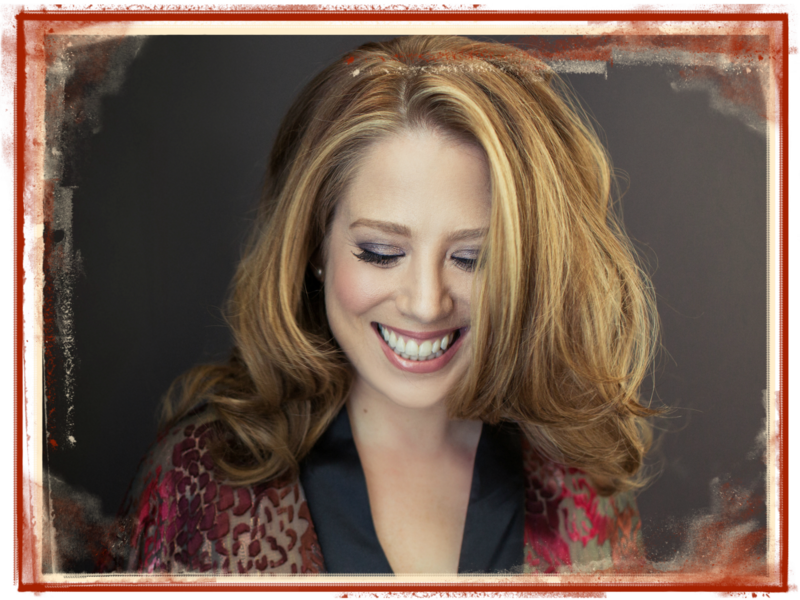 She has been described as laser-focused and intuitive, insightful and smart, safe, caring and incredibly trust-worthy. You WILL have AHA moments, and you will look at your life in a new way after spending time with her. We can promise you that. But we are not asking you to pay over $300.00 for each of these sessions. No, we are not. $99.00 every 3 months! (yes, that’s $33.00 per month). Crazy right? But it’s a good kind of crazy. With this amazing bonus you have everything you need to take the next steps to “Being Your Best YOU and Living Your Best LIFE”. This is your chance to finally participate in coaching that you have always wanted, at a price that you can afford, shared with members of the Wild and Wise Sisterhood who will support you and cheer you on as they take the journey right along with you. 30 Days of Wild and Wise Affirmations! Beautiful downloads with simple and powerful affirmations to tap into your inner peace, confidence, and personal power. Neuroscience now proves that our thoughts can change the structure and function of our brains. And so we want to do our part to help you access the inner peace inside of you by side-stepping the mind chatter and focusing on thoughts that will affirm your Best Life. Best practice is to focus on one affirmation for a week or two at a time, which means you will have enough to last you an entire year! 6 to 8 uniquely handcrafted gifts that have been selected by the founder of Wild and Wise Sisterhood, just for you! These range from housewares and art forms to stationery, jewelry, and intricate accessories to enhance your daily life. Framable 5×7 card featuring a beautiful quote and personal message from your founder and Soul Sister, Christa. A Share the Love card so that your friends and loved ones can enjoy $10.00 off their first box as new members! Story cards that introduce you to the artisans and art forms represented in your box so that you can learn more about the heritage and story behind your box. Regular updates on the impact you’re making through the Sisterhood’s Wild and Wise SETU Projects and partnership with Matr Boomie. $200.00 worth of exclusive, meaningful gifts delivered to you 4x per year for just $99.00/box (That means you’ll enjoy $100.00+ in savings with every box!). Knowing that for just $1 a day, less than a cup of coffee, you will be making a statement and becoming part of a movement that creates REAL change that you can keep track of and trust. The opportunity to communicate your excitement, appreciation and thanks back TO the Artisans in India by sharing images and videos of unpacking your box and placing the items in your home. Using the hashtag #thesetuproject, Wild and Wise Sisterhood will be compiling all of these messages of love and sending them to the artisans via the office of Matr Boomie that is located there. The Wild and Wise Sisterhood truly IS the Gift Box That Keeps Giving Back! 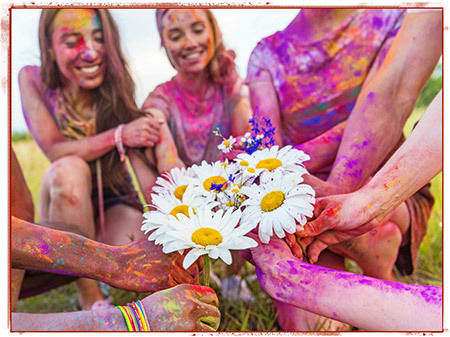 Join the Wild and Wise Sisterhood To Receive YOUR Special Gift! Delivered to Your Doorstep 4 Times a Year. Only about $1.00 a Day for 4 Boxes a Year and Monthly Coaching. And because WE give back, we want to give back to YOU as well. Receive $10.00 OFF Your First Box! Joining the Sisterhood just got even easier and more affordable than ever! No tricks and no gimmicks – just a straight $10.00 off the top that you can keep in your pocket! Every Other Subscription Box on the Market? 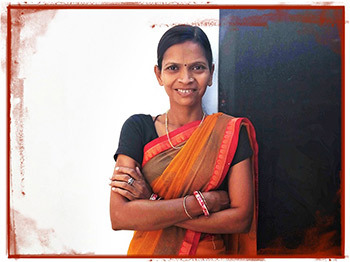 The Power to Make a Difference: Just by subscribing, you are empowering the artisan women and their families in India with fair and prompt pay, training and education, safe working conditions, increased confidence, and more – empowering them to be their best, and LIVE their best lives. Plus: $15.00 from EVERY box goes back into our artisans’ communities through Wild and Wise SETU Projects! Handcrafted, Exotic Goods: In a world of mass market products, each item in your box is unique and exotic. Committed to fair trade standards, we are proud to call the Wild and Wise Sisterhood a “No Harm” Project. No harm to animals (materials ethically sourced), to people (safe work conditions, higher pay and anti-sweatshop, anti-slave and anti-child labour) or to the planet (processes environmentally friendly). Premium Quality: This isn’t about getting more mass-produced junk that ends up collecting dust on a shelf somewhere. It’s about meaningful, inspired items that make the world a better place. Each box includes 6-8 handcrafted gifts and has a retail value of $200.00+. As a member of the Sisterhood, you’ll pay just $99.00 for everything — that means $100.00+ in savings inside every box alone! INCLUDED: $10.00 Off your first box!! Use promo code: IAmLoved. INCLUDED: More community, support, love as you go through this journey with other members of the sisterhood – all ready to make 2018 GREAT! INCLUDED: 30 Days of Wild and Wise Affirmations! Beautiful downloads with simple and powerful affirmations to tap into your inner peace, confidence, and personal power. 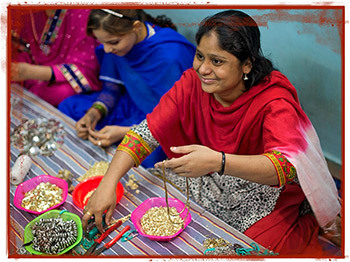 Shashista has been able to find steady work as a jewelry maker in a low-income area of North India since 2009. Her community has grown from 40 to 140+ artisans who are able to earn 30% higher wages than in conventional markets since working with Matr Boomie. With your help, women like Neema are able to attend women’s education classes where they can learn how to read and write. This empowers women to engage in free trade and provide for their families, become more aware of their rights, reclaim their voice, and rise up as leaders in their communities. 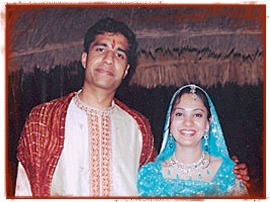 Rani was married very early and did not have much of a say in choosing her husband. Rani was living in poverty and in an abusive marriage. About 10 years ago, Rani starting working as a quality checker with the India Matr Boomie team, SETU. As a result, she began to financially support her family, her husband also found work, and with the assistance of a SETU-backed loan, Rani was able to purchase an apartment for her family. Your purchase has the power to reshape entire communities through Wild and Wise SETU Projects. Our SETU Projects are focused on the development of medical clinics, schools, public health systems, and other improvement initiatives. This gives you the unique opportunity to partner with a sisterhood working together for lasting social and environmental change. We are committed to giving back $7.50 from each box to our partner communities, and Matr Boomie is matching that contribution dollar for dollar for a total contribution of $15.00 PER BOX! This is up to 30x higher than what other companies are contributing to similar initiatives. All I Have To Do Is Subscribe? and families across the globe? The gift box that includes monthly live coaching in exclusive group workshops? Only about $1.00 a Day for 4 Boxes and 12 Best Life Classes Per Year. I love this concept of women supporting other women and I now know what my corporate and birthday gifts are going to be! There is so much in this box and I know that my daughters are going to steal the Sari headband immediately. You know normally in these boxes are samples from cosmetic companies that want you to buy their products. But this box is actually things that you would use that are supporting other women. This is fantastic. Christa I love it. The gifts inside this box have a transformative effect, at least they do for me. And I think in a world where we’re all running around and giving so much in so many ways, getting something back as an affirmation of who you are, and that makes you feel good is really powerful. I have known Christa for a long time and she is an incredible person. I love that this box gives back to communities, so I already know that just by being a part of it I am making a difference. This gift box feels like a community, where we can learn monthly about how to embrace our best life, while also helping the lives of others. 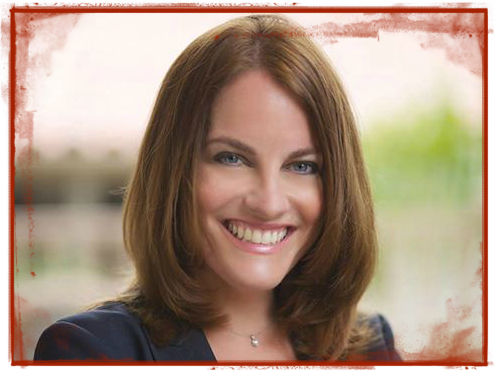 Christa has such a gift of connection, and honesty in her coaching that I look forward to our monthly calls. I love the idea of being able to feel the spirit of the artisans when I open the box and hold these gifts, and be inspired by what they have created. When we empower women we empower each other and that means so much to me. Thank you for creating this Christa! I am PROUD to be a part of the Sisterhood! Christa… I am absolutely SPEECHLESS! THIS IS CRAZY GOOD! HOLY SMOKIN’ CROW! What a work of Passion, of Art, of Faith …of Love …of leaping off into the Abyss… WOW!! I am so GOBsmacked! Matr Boomie has partnered with hundreds of businesses over the last 10 years of our history but I have not come across partners like W3 whose commitment to make a positive difference in lives of their partners is so deeply rooted. 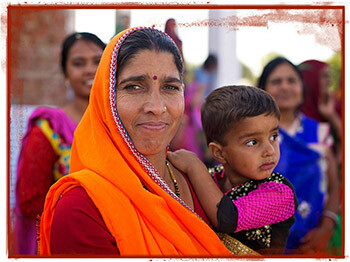 W3’s partnership will support 100s of artisans and their communities in India, giving them a voice, giving them faith and a path of empowerment. W3 is embodiment to what inspiration is, not just words but a way of being. Matr Boomie is excited about this partnership and for bringing amazing gifts made with love and hope to all W3 sisterhood members. Hi! 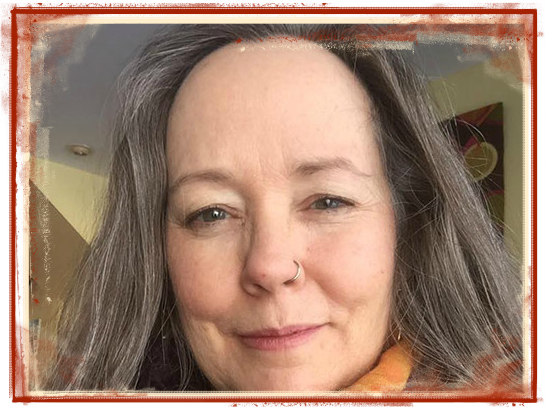 I am Christa, founder of the Wild and Wise Women movement now over 300,000 strong. One thing that the Wild and Wise tribe knows about me is that I love choosing and giving presents. Especially when they are meaningful gifts that will inspire, energize, and enhance the energy of your space and daily life. I am not only thrilled but together we are hitting a home run wouldn’t you say? 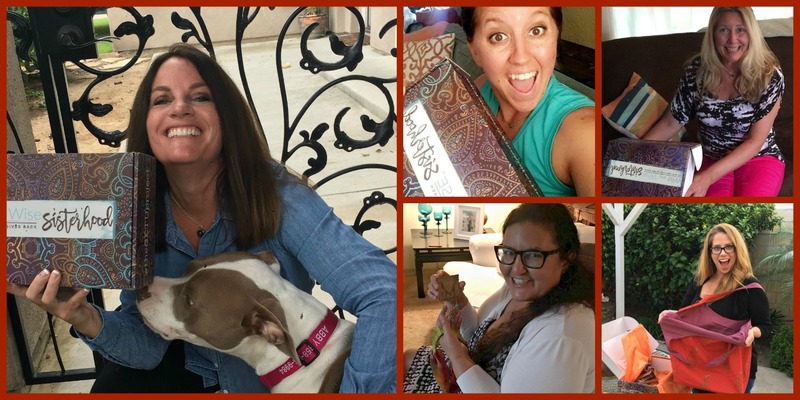 Every month join Christa and your Sisters in a live, online, group “Best Life Class” where you will learn from expert special guests and Christa herself. This is your chance to finally participate in coaching that you have always wanted, at a price that you can afford. There are NO MORE reasons to put your life on hold! Presents Delivered To Your Door! Every three months a box filled to the brim with handcrafted, unique and exotic items will be delivered to your door. Along with $200.00+ in suggested retail value, you will be delighted with all the extra-special “Love Details” we include. It’s your special gift to remind you of how incredible you are, and that with this box you are changing lives across the world! Not only will you have an exclusive invitation to every monthly “Best Life” class, but also a special opportunity to take part in the “Wild and Wise Hotseat“. Don’t want to be on the hot seat? No problem! Submit your personal questions for one-on-one coaching on your most pressing challenges and obstacles. We are here for you! $15.00 from the sale of every single Sisterhood box is contributed back to Wild and Wise Setu Projects. This is our customized Give Back Initiative to support our artisans with improved health care, education, work conditions and more. You will receive progress reports and updates, tracking the difference YOU have made in the lives of others. I’m in, Christa! What Should I Do Next? Only about $1.00 a Day to Change A Life, Get Presents You Love, and So Much More! 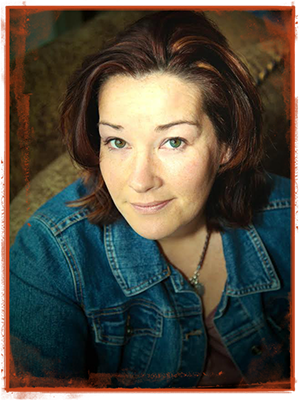 Participate in Live Virtual Life Classes with Christa – Every Single Month! … Then I’d like to personally invite you to join the Wild and Wise Sisterhood movement. For only $99.00, 4 times a year (that’s about $1 a day) you can make a difference that will impact women, families, and communities for generations to come. Together, I know we can create a more connected, compassionate, and loving world, and I really hope you’ll join us. Sisterhood Can Change the World. Want to speak to a member of the Wild and Wise Sisterhood team?